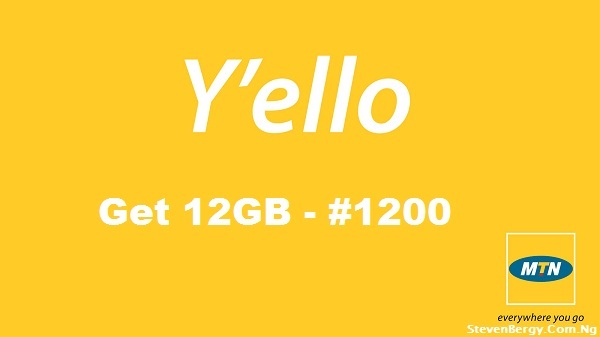 Get 12GB of Data for just #1200 with MTN Music Plus; Works on iOS, Android & PC! Recently, I have been receiving messages from different people about the MTN BBLITED plan which is no longer working like the way it used to work before. Some got 10MB when they subscribed to this plan while some lucky ones are still using it flawlessly. This happened just after the MTN Magic SIM was blocked by MTN. Since the best and most used browsing cheats have been blocked, so many internet users have been restless. Today, in this post, I'll be posting up another awesome alternative to the BBLITED plan which will keep you connected online and at the same time, you'll be able to download as much as you want. Kindly allow me to introduce the MTN Music Plus plan! With the MTN Music Plus, you get as much as 150MB with just #15, which simply means that you'll get 6GB of data for just #600 and 12GB for #1200. There is no doubt that this is cheap compared to other official browsing plans from MTN. Though, it can never be compared to the BBLITED plan. Again, it works on iOS devices - iPhones & iPads, Android devices and even on PC without too much of tweaking. How to Subscribe to the MTN Music Plus Plan. » Ensure you have up to #15 on your Main account balance. » Send a text message, with the subject "C" to "5900" without the quotes. » Note that you'll get only 150MB after the #15 has been deducted, which means that you have to keep resubscribing every time you exhaust the 150MB. The more data you need, the more you subscribe and N15 will be deducted. Lets assume you need 1500MB (1.5GB) of data. Then, you'll subscribe 10 times since 150MB x 10 = 1500MB and 15 x 10 = #150. Which simply means that with #150, you get your 1.5GB. Very simple! » Once you've exhausted the given 150MB and you want to renew it, simply Send cancel7c to 5900 and this will allow you to unsubscribe from the plan. » Now resend C to 5900 to get another 150MB for just #15. » You can always dial *559*2# to check your balance anytime. » Select save and click on “tunnel whole device”. Click on the option tab » Region: All servers are working with it, but I preferred, United States Server to avoid unfamiliar language when browsing. » Select more option, check “Connect through an HTTP” then select “Use the following settings:” then configure as. Now, you can go back and connect. It should start working immediately! Note that the configuration file you downloaded from the link above works with all devices that supports Open VPN. ==>Import the config file and connect. Note that this config file works with all devices that supports Open VPN. I have tried as much as possible to break the procedures in this post down for better understanding, but if you still have issue(s) while trying to get yours to work, drop your comment(s), I'll be glad to help you. If you were able to get yours to work easily, kindly drop a comment to show your gratitude and please don't forget to share this post with others. Have a nice week! Thanks man. it's now working on my laptop but haven't get it to work on my android phone. help! Good to know that. What's the issue with your Android phone? Hope you have one of those VPNs. Thanks Bro, its being done as you instructed and now am browsing with just #15. Hi, thanks for dropping by. The details have been explained fully in the post. It's 150MB per #15. Enjoy !!! Is it unlimited??? Cause I've used it but when the 150mb it stops so my question is can I keep resubscribing the 150mb like til it 1G? It is not unlimited, when the 150mb stops... Just keep resubscribing again and again until you are satisfied with it. PLEASE does it work with psiphon??? Yes, check the post for configuration details. Use a good Zip extractor to unzip the uploaded zip file, the configuration settings is inside and working fine. Hello, thanks for sharing. Can it work with my usual simple server and proxy Droid if I adjust the settings as u wrote? Or do I need to download the VPN and the other u mentioned? Thanks. But let me ask this too, without new settings, can it still work with usual simple server settings? No, it can't and this is because this new plan (MusicPlus) is actually different from the former one (BBLITED). Mr AYOOLA STEPHEN, it seems I'm stil having problem with simple server/ VPN. I upgraded my SAS but it is now written VPN. Secondly, that VPN doesn't has some settings like TICK REMOVE PORT, PROXY TYPE, REAL PROXY TYPE, (select save and click on) TUNNEL WHOLE DEVICE, HOST ADDRESS. Hello Sir, that is how it is now... SAS has been upgraded and rebranded to NetLoop VPN. This post should be of help - Netloop VPN. What should I do pls? Hi, this browsing plan has been blocked and stopped by MTN. Thanks for the nice comment. But presently, there is no one for GLO now and same goes to Etisalat though it will be posted as soon as any shows up. God bless you! I sent C to 5900 u wrote but I received a response that the service cost N300 per week and I should press YES if I want to subscribe or No. This is contrary to my expectation. Can you explain what the N300 weekly subscription for music plus service means? Sorry for the late response. This MTN MusicPlus service has been upgraded by MTN and that's why it now cost #300. Ooh, I see... Have you tried the MTN Unlimited Daily Data Plan?. It's really cool with unlimited data for just #150 daily! There is no MTN tweak for now, you can opt-in for the official data plans from MTN. They are now cheaper and more affordable! pls Can this work with on my usual simple server and proxy Droid if I adjust the settings as u wrote? You can give it a trial Bro. I've not tried it before!